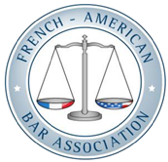 Vous êtes cordialement invités à la conférence annuelle de la French-American Bar Association sur le thème du Droit de la Mode et de l’Innovation, qui se tiendra à l’Université Paris 1 Panthéon- Sorbonne, le mercredi 24 octobre. Cette conférence comptera également pour 3h de formation continue. Vous trouverez l’ensemble des détails sur l’évènement et modalités d’inscription ci-dessous, en anglais. L’anglais sera la langue principale de cette conférence. Nous nous réjouissons de votre présence à cet évènement au cours duquel nous aurons l’opportunité d’écouter notamment nos intervenants de chez Maus Frères, Chanel, Fédération de la Haute Couture et de la Mode, et bien d’autres. The FABA/FBA Fashion Law and Innovation Conference focuses on the latest legal and technology issues impacting the fashion industry, and the intersection between both. The program consists of three panels covering distinct topics, and includes the perspective of in house counsel, private practitioner and fashion tech startups. The program’s unique approach makes it a must attend for anyone working, or advising clients, in the fashion industry. Our panels will be held in English. 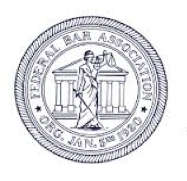 It will count as three hours of “formation continue” / CLE for French and U.S. attorneys. We hope you will join us for this exciting program, and our networking reception. 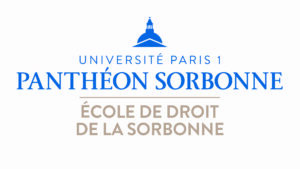 Joan Anfossi-Divol, Sorbonne Law Dean for external relations, Ecole de Droit de la Sorbonne, Université Paris 1 Panthéon-Sorbonne; Events co-organizers, Olivera Medenica, Partner, Dunnington Bartholow & Miller LLP; and Céline Bondard, Principal, Cabinet Bondard and President of FABA in France. Moderator: Celine Bondard, Cabinet Bondard and President of FABA. Speakers: Olivera Medenica, Partner, Dunnington Bartholow & Miller LLP; Michael E. Schu, Senior Corporate Counsel, Dupont; Regina Polanco, CEO, Pyrates Smart Fabrics. This panel will examine the latest in wearable technology, fashion tech and smart fabrics. Panelists will examine the essential terms of deals marrying brands with technology, and the scope of rights and restrictions typically addressed by both sides. The panel will include the perspective of in house counsel, as well as a fashion tech startup focusing on smart fabrics. Panelists will discuss the challenges encountered in launching a new brand, or product, in a nascent field from both a US and EU perspective. Moderator: Esther Hagège, Avocat aux Barreaux de Paris, New York et Californie. Speakers: Maria Vathis, Bryan Cave, President of FBA; Frédéric Galinier, Legal Director, Fédération de la Haute Couture et de la Mode; Bénédicte Roumy, Legal Director, Chanel. This panel will discuss some of the most salient topics relating to labor and employment considerations in France/EU and the United States. The discussion will include an analysis of how models are treated under both US and French law. US side panelist will also discuss essential considerations in terms of being litigation ready for foreign companies doing business in the US. This panel will address the latest issues relating to trademarks and branding in both France/EU and the United States. Panelists will include perspectives from in house as well as outside counsel, and will cover issues pertaining to online infringement, unlicensed distribution, unfair competition, and counterfeit products. Panelists will also cover issues relating to unauthorized uses of a brand by enthusiastic fans, and IP issues in social media.